Automaxx of the Carolinas is dedicated to helping our customers enjoy and thrive in the car-buying experience; from the beginning of the browsing process to the moment you drive it off out Summerville, lot! That’s what the Automaxx Advantage is all about! Here’s just a taste of what the Automaxx Advantage provides when you buy your next pre-owned vehicle from Automaxx of the Carolinas. 3-month/3,000-mile Certified Warranty Coverage for repairs and maintenance included under the Automaxx of the Carolinas certified warranty. Enjoy covered vehicle repairs no matter where in the country you’ve taken your vehicle! Seven Day Peace of Mind Guarantee Shrug off buyer’s remorse with our seven-day/500-mile guarantee allowing you to swap your purchased vehicle for another one on our lot! We pay cash for your current vehicle Whether you’re selling a vehicle to facilitate a purchase or not, we offer cash for your vehicle on the spot when you bring the title with you to Automaxx of the Carolinas. Speed through the sales process in 45-minutes or less! All we need is 45-minutes to get you out of the dealership and behind the wheel of your new vehicle. Apply online to make this speedy process go by even quicker! 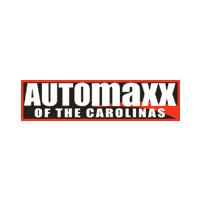 We hope you’ll take advantage of the Automaxx Advantage that we offer at Automaxx of the Carolinas. Contact us today to learn more!